Wedding attributes must look perfect as they emphasize the charm of the event. 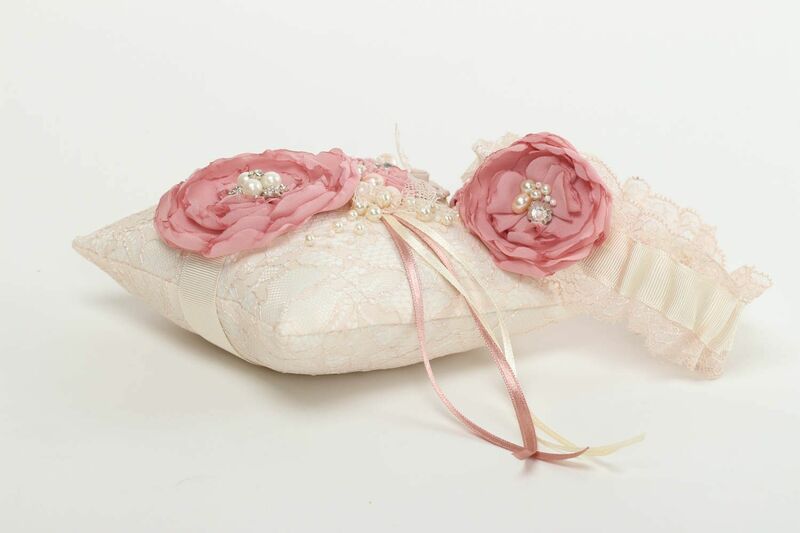 The small pillow for wedding rings and bridal garter are made of French lace and silk-chiffon. 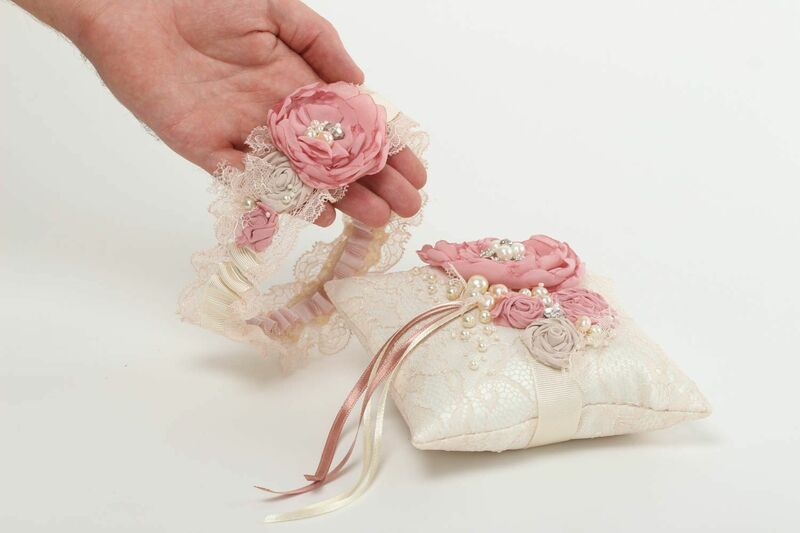 They are skillfully decorated with pearls, strasses and a rep ribbon. The accessories combine stylishly soft honeysuckle and milky-white color. 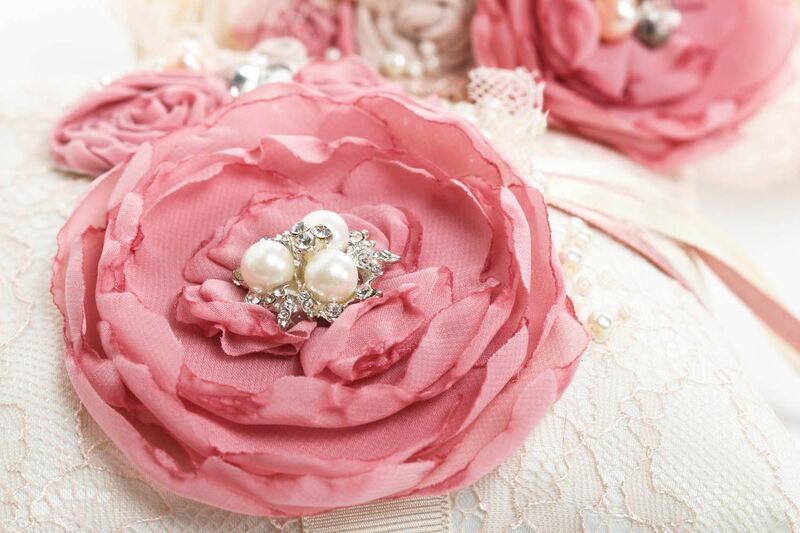 Such color palette gives special romanticism and aristocratical notes to these accessories. 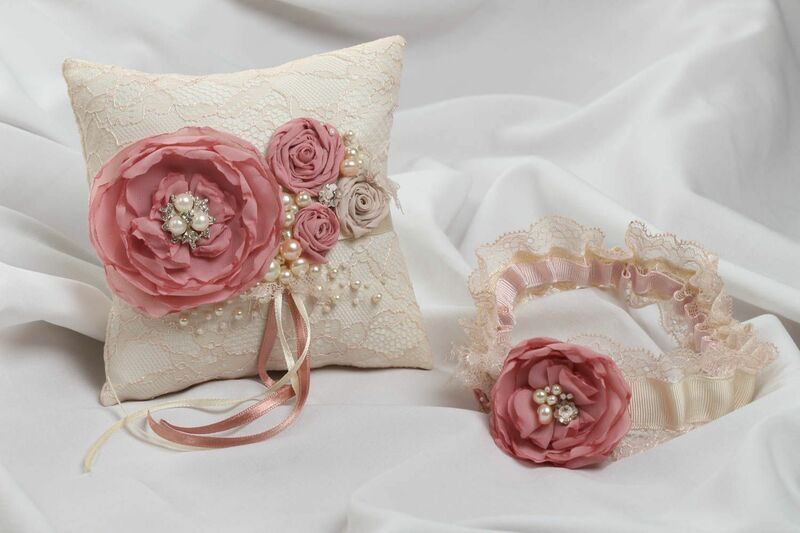 The wedding attributes can be made in other size and color to order!